President Ram Nath Kovind promoting the approach to ensure that higher education not only fulfills individual aspirations but also achieves national goals and priorities. President Ram Nath Kovind released the national ranking of higher institutes by the Ministry of Human Resources Development in New Delhi on 8th April 2019. 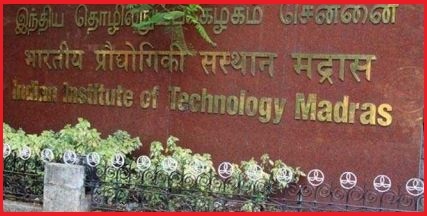 The Indian Institute of Technology, Madras topped the national ranking of higher institutes released by the Ministry of Human Resources Development. The Indian Institute of Science, Bangalore, and IIT-Delhi ranked second and third, respectively. Of the top 10 institutes, seven are IITs. The Jawaharlal Nehru University and the Banaras Hindu University ranked seventh and 10th, respectively. The Delhi University's Miranda House was ranked the best among colleges across the country, while the varsity's St Stephen's College was ranked fourth. The HRD Ministry has been publishing the National Institutional Ranking Framework since 2016.